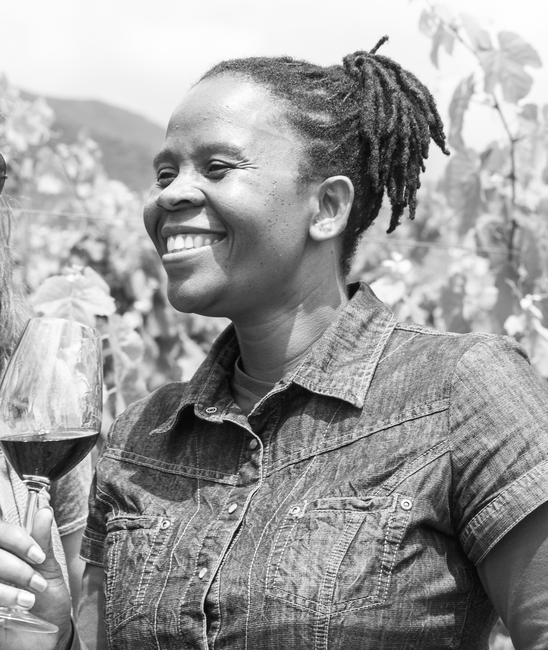 Hailing from the rolling hills of Zululand, Ntsiki Biyela embarked on a life changing journey to the Cape Winelands. It was here where she discovered her talent and passion of creating captivating wines. Out of her dream comes a brand that pays tribute to her great inspiration, her beloved grandmother, Aslina. This wine is a complex Sauvignon Blanc with bright fruit, citrus characters and lemon zest. It has beautiful complexity and surprising depth. Extended time on the lees gives this wine a unique, lingering, silky finish. A complex Sauvignon Blanc with bright fruit, lots of citrus characters, lemon zest, beautiful complexity, and depth. Extended time on the lees gives this wine a unique, lingering, silky finish. Ntsiki Biyela employs the women in her village to make marketing materials for her, and aims to develop the community.